Today, the word is conjunction. For those of us who still have the occasional Schoolhouse Rock acid flashback, this may trigger disconcerting memories of junctions vis-à-vis functions. You've probably already got the basic jist of conjunctions: words like and, or, with, because, and so on, which we use to connect words and phrases. A burger and fries. A hot dog with mustard. No hair in the cheese fries, or it's free. If you can get through a drive-through window, you already know a thing or two about conjunctions. So for most of us, the $64 question is, when do you have to use a comma with these little suckers? Of course, we use conjunctions without commas all the time - for example, when joining two items in a list. When your list grows to three items or more, you need commas to separate each item in the list. Unless, of course, you're just a mad conjunctioning fiend, in which case your list doesn't need no stinkin' commas. In this case, the conjunctions are connecting the four items in the list, just as we did in salon-cat's two-item list above. 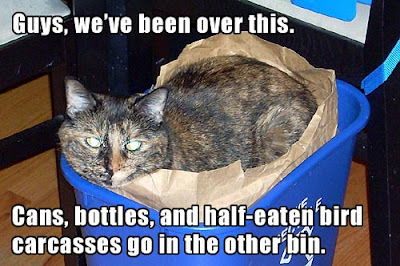 It's only when you start skipping conjunctions (as with recycling-cat's list) that you need commas to show the divisions between the items. 2. 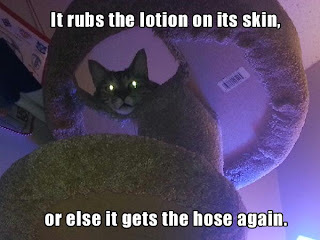 It gets the hose again. So we use a comma and a conjunction (with "else" added for emphasis) to join them. Why might we not have a comma there? We're still joining two complete thoughts, right? If you're thinking, "well, I guess technically you're supposed to have one, but it's really short and kinda looks okay without it," you are exactly right. If you're thinking, "God, I could do with a drink," that is also perfectly valid. Basically, when you're using a comma-plus-conjunction to join two complete and equal sentences, you can sometimes skip the comma. You can't skip the conjunction. 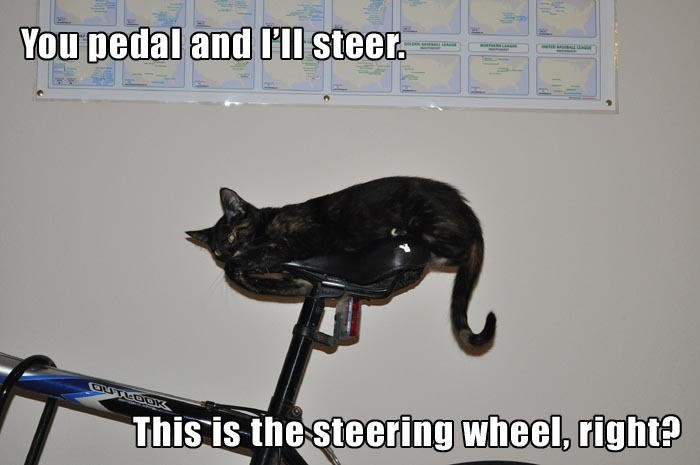 You pedal, and I'll steer. Works! You pedal and I'll steer. Works! "But," you may protest, steadying yourself with a shot of liquid courage, "I know for a fact that I've seen sentences joined where you just shouldn't have a comma, and there's nothing optional about it." Here is the deal. 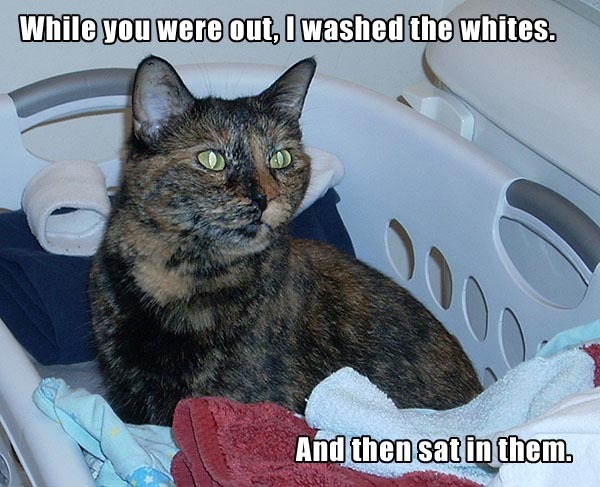 In our first two examples above (lotion-cat and bicycle-cat), the sentences in each have an essentially equal relationship. As in a good marriage, both are self-sufficient and enjoy an even partnership. They are the Faith Hill and Tim McGraw of sentences. And they are joined by a clean and simple coordinating conjunction - a conjunction that connects two equal things. 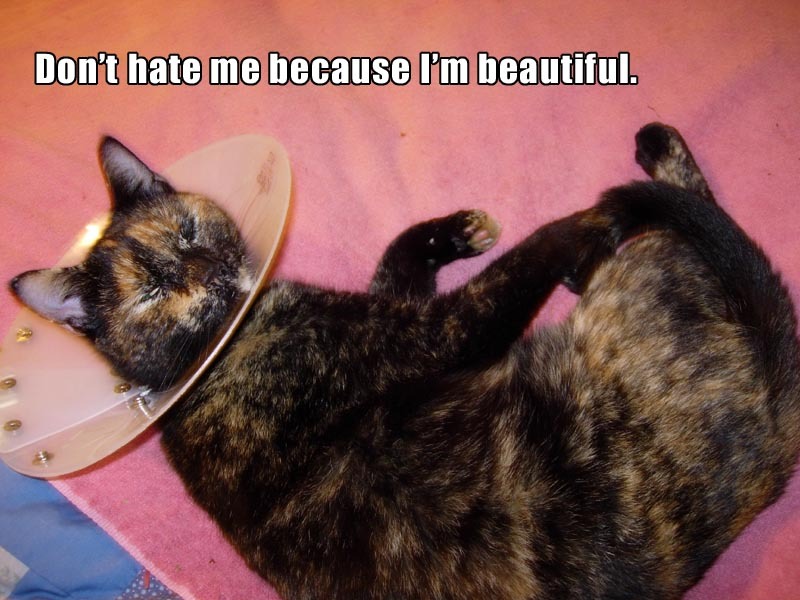 However, beautiful-cat's two sentences aren't really on even footing. 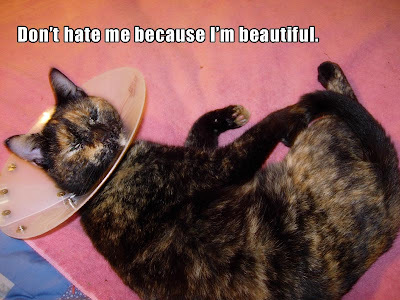 The second sentence ("I'm beautiful") is only there to explain the first (because otherwise we'd be like, "Why would we hate you, kitty? What have you done?") As with Britney Spears and Kevin Federline, nobody would have any reason to care about the second sentence if it weren't for the first. They are joined by a subordinating conjunction - a conjunction that connects a greater item with a lesser one. And subordinating conjunctions do not need a comma when they are set between the two items they connect! "Wait... wait, wait," you may say, pausing for a despairing swig of Hennessee. "When they're set between... where else would they go?" Why, the same place every celebrity goes. To rehab! To the front of the line! 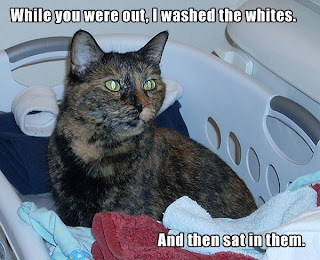 I washed the whites while you were out. And notice too how when we do that, it follows the same pattern as before: Brit-Brit (independent clause), conjunction, K-Fed (dependent clause). Now that we've made a few million off the wedding rights, we're going to go ahead and split. Even though I've had hangovers that lasted longer, my first marriage was definitely a sacred and special thing. While it's true that I bedded approximately half the blondes in the greater Orlando-Kissimmee Metropolitan Statistical Area, I'd really appreciate it if you didn't express your feelings with my five-iron. This isn't even half of what there is to say about conjunctions, but my imaginary conception of you is looking decidedly bleary-eyed. Let's call this Part One and pick it back up again sometime. Tomorrow, the alphabet challenge marches on! Coordinating Conjunction Comma Quiz - try it out and see how you score! 1. Judy, courtesy of Pamela (the Death Writer) <--fellow A to Z blogger; check her out! 3. Firefly, courtesy of Jarret O. 5. Mystery kitty, courtesy of Jarret O. Now I get it:) Do you know what's really funny? I bought my cat Spooky those little kitty claw covers to prevent him from scratching my couch. Ha! Great concept, but the cat needs to be either a very heavy sleeper or dead to get them on. 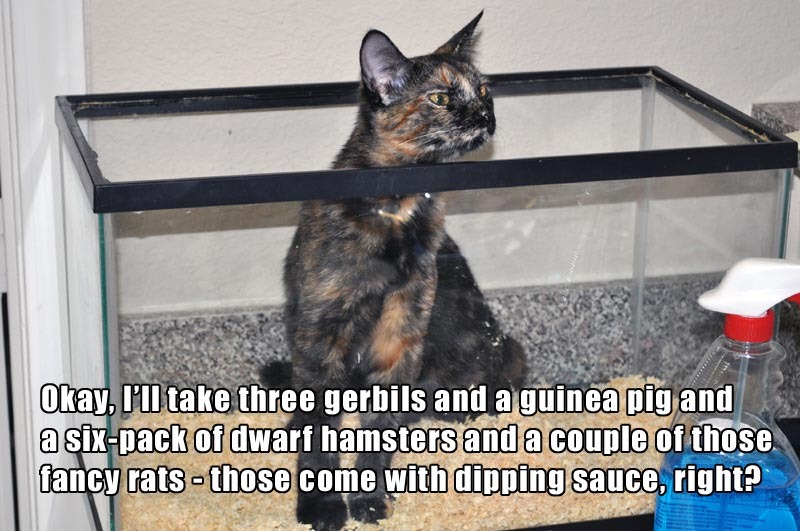 My roommate did the same thing for her cat - those suckers are a pain! 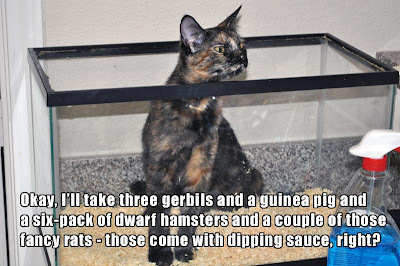 (She wrestled them on all right, but they kept popping off.) Thanks again for the pics - you are terrific! Yeah, I think what I should have done is an entry for just list-making comma-conjunctions, and a separate entry for the other ones. Maybe I'll fix that when A to Z is over. Also: given how long it takes me just to catch up on comments, I don't think you want to wait for me to grade your commas - but I am so flattered you would ask! Hell yes! I freakin' love the Oxford comma! Love the Brit-Brit K-Fed example! This post has cleared up a lot of grammatical questions for me. 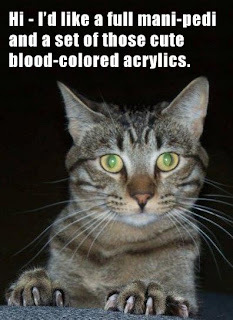 And any time you add cats, it's just that much more awesome! Haha, thanks, Jennifer - when they're old and the kids today don't know Britney and Kevin anymore, we'll pick new celebrities to replace them. I'm confident we'll still be spoiled for choice! This was a bit more complicated, indeed, compared to the other ones so far. You know what I mean?! GAH! I must submit Crooks to your work, but I fear the fandom going to his bulbous head. Dude, you totally just inspired today's post. Freaking dashes - how do they work?! I so want to see Crooks, BTW! 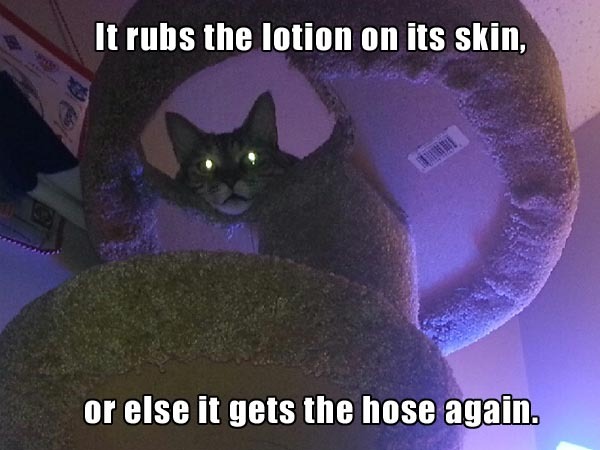 I have him pictured as like... Greebo, or Mad Cat from Inspector Gadget, or maybe Mister from the Dresden Files. You know. Immense. No, it was more the topic I think. Your writing style and humor makes it breeze by. It's really awesome. I don't think ninja's need to partake! I can't talk about length lol The more content the better says I! Just read the dashes :) I will submit Crooks, though he may disappoint lol It will be the same pic as posted on "C" minus the tagging of my blog. Well it's hard to believe that you have progressed from marking your teacher's worksheets to making it so the rest of us won't get our handouts marked up by our students. Can we talk about math grammar someday? We have apostrophe's and commas. Lots of people need help knowing how to read and use them. We totally need to! We should have a whole second series - "Math Mutts" or something - and get some of our dogs in on the action. I was actually thinking about whether to include "prime" with the apostrophe post. Penny could explain that - we can paint her toenails for single, double, and triple prime. Thanks Carolyn - and thanks for visiting; it is great to have an editor's seal of approval!